Granada is just one of those places that steals your heart forever. The region’s Moorish architecture and fabulous flamenco dancing helped form the popular image of Spain internationally. There is something so magical about this city, so special, it’s easy to see why thousands of tourists flock here every year. 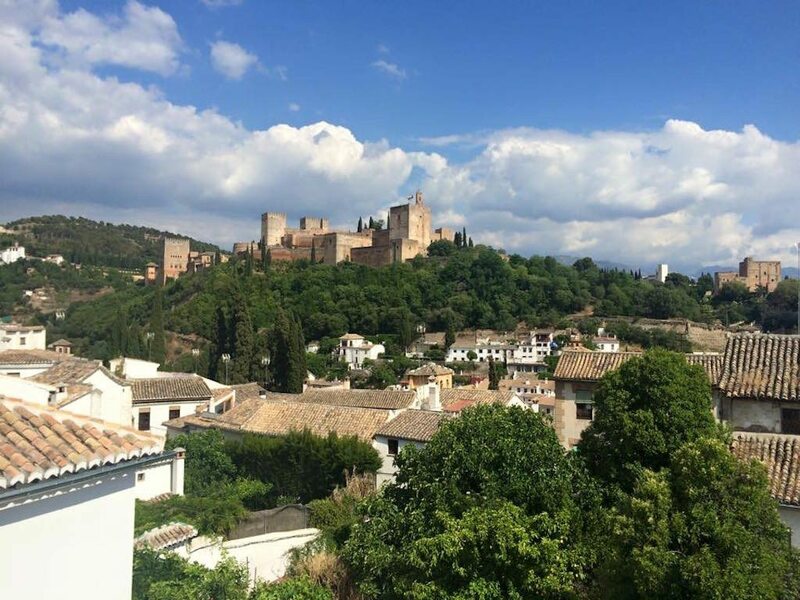 If you come to Spain, you have to visit Granada! 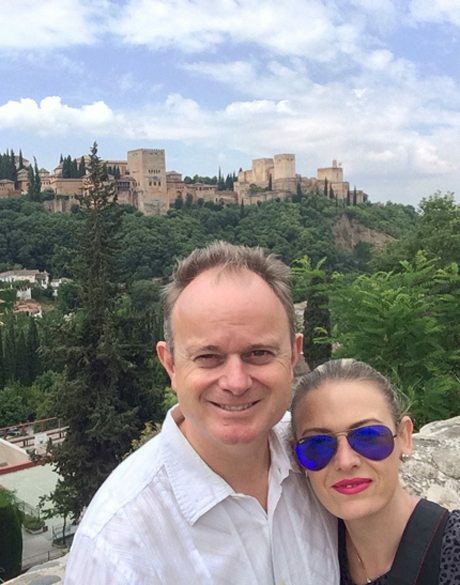 My hubby and I decided to fly from Barcelona to Granada, as it is quite a long train trip. On arrival we caught an airport bus for three Euros each. It was an easy drive to the city and once there we just took a taxi to our accommodation, again Airbnb. We certainly chose our home away from home well. Our host, the very welcoming Jose Antonio, was a font of information about his fair city and helped make our stay superb. Even in his faltering English and our completely non-existent Spanish we all managed just fine. I have to brag about the view though. When Jose drew the blinds and threw open the window we couldn’t contain our excitement. 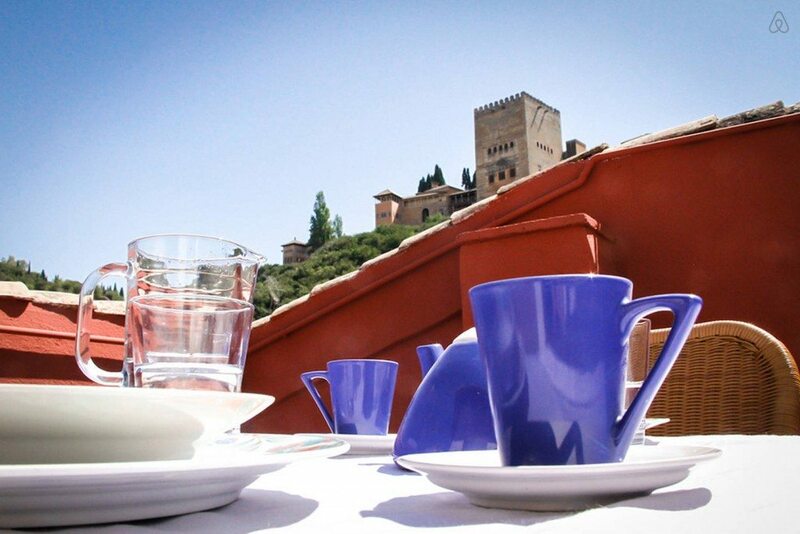 There in front of us, picture perfect perched on its hilltop was the mystical palace and fortress complex of the Alhambra in all its glory. Time to explore and find a place for dinner. As you, dear readers can probably tell by now, food is fairly important to us, so where to start? 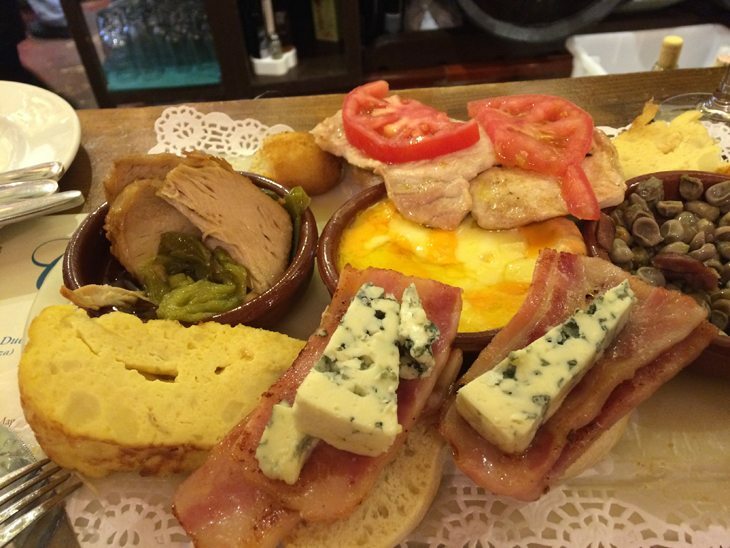 Jose recommended an excellent tapas bar called Los Diamantes located in Plaza Nueve. 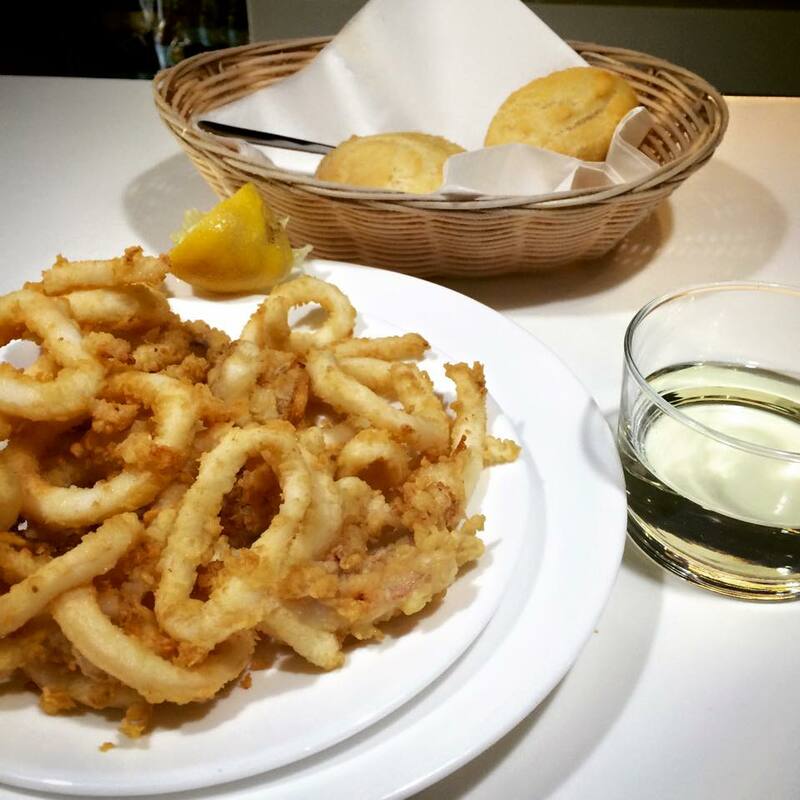 There are a four locations for this place, but we tried this one that specialises in seafood. I love how tapas works in Granada, buy a drink and receive a tapas for free! The only catch, they choose the snack for you and you can’t change it. Well we weren’t sending ours back any time soon. Four plump, cold prawns arrived, followed by fried prawns in a light batter. We decided to order some calamari frittas, which was delicious! The food here is super fresh and the oil is super clean, I hate when the oil is less than perfect as it spoils the taste. It was then time to move on, so where to next? Lovely friends had visited Granada the previous year and had given us many suggestions for food. Having shown our host, who agreed with all these choices, we decided to try La Oliva. This is a hidden gem, and one not to miss out on. First, I must stress, La Oliva isn’t a restaurant as such, it is a deli whose owner thought it might be nice to cook up a few courses of local produce for guests to enjoy. A simple concept, but if you are one that needs a menu, then this isn’t for you. That being said, if you are willing to go along for the ride, you will experience something close to nirvana! 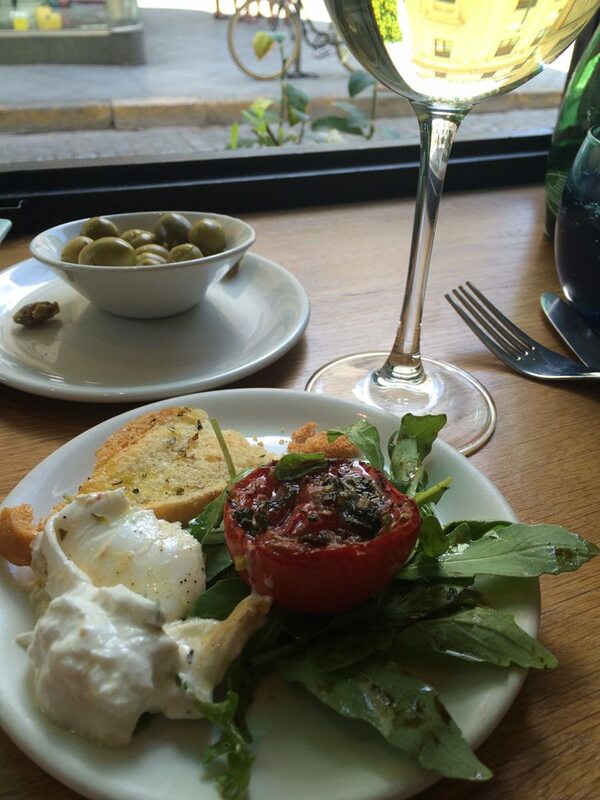 All dishes are matched with local wine, all produce is from the region. It’s a little pocket of heaven. First a tasting of three olive oils, then three different pates. 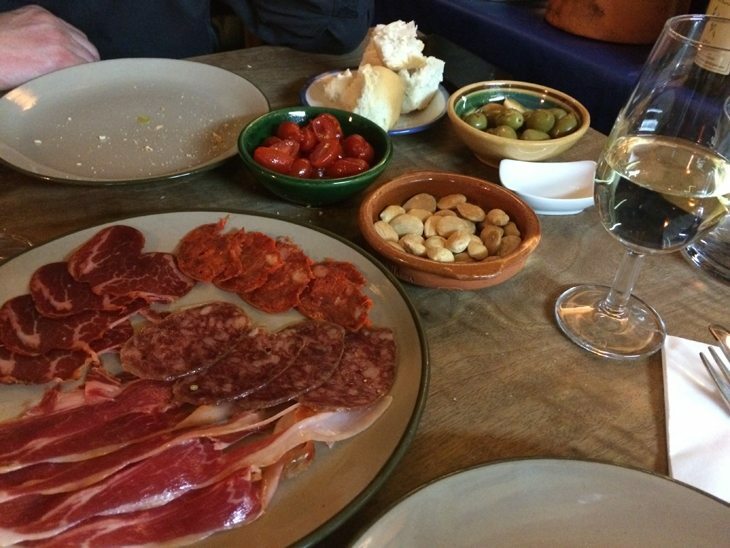 Then, a stunning plate of cured meats matched beautifully with toasted almonds and a glass of sherry. Next up its a scrumptious plate of lightly scrambled eggs with fresh seasonal asparagus and prawn meat. This was followed by a simple swordfish fillet, thinly sliced and a thick disc of potato, so good. Four more courses to go! Bring on the meat dish. 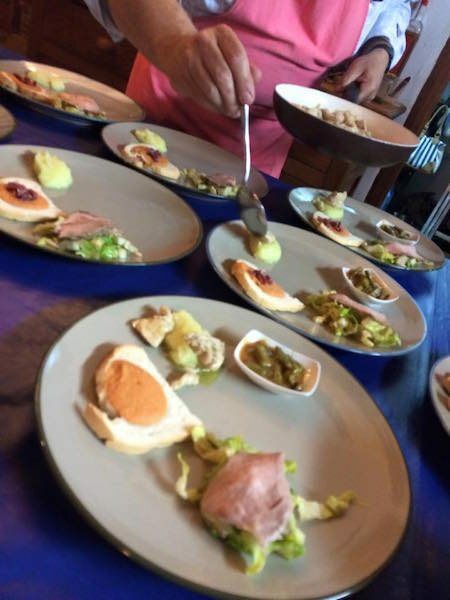 A small bowl of gazpacho sprinkled with speck, a disk of pork loin, a sliver of pork on lettuce that had been dressed with a delicious vinaigrette and perfectly sized chicken fillet on a bed of mashed potato. I will point out now, that all of this food is produced on a small, single burner hot plate, Francisco is a genius, thank goodness he gave up accounting and took up cooking! Three local cheeses, strawberries and cream, as well as chocolate ice-cream finished off one of THE best meals I have ever enjoyed; a culinary experience. Its hard to describe the calmness of this restaurant. No yelling, no ego’s, just a small staff of five people going about their designated tasks. Just goes to show, nearly anything is possible with a single burner and a kitchen sink! After, we made our way back home to our magical view of the Alhambra which we would discover the next day. Rising after a fitful sleep, we are greeted to our view again, and thoughts of exploring Granada. A walk along Calle Darro was leisurely and it was lovely to see a wedding at the local church. The Spanish love to dress up and a wedding is the perfect excuse! Lunch was a quick tasty pastry then we were off for our tour of the Alhambra. 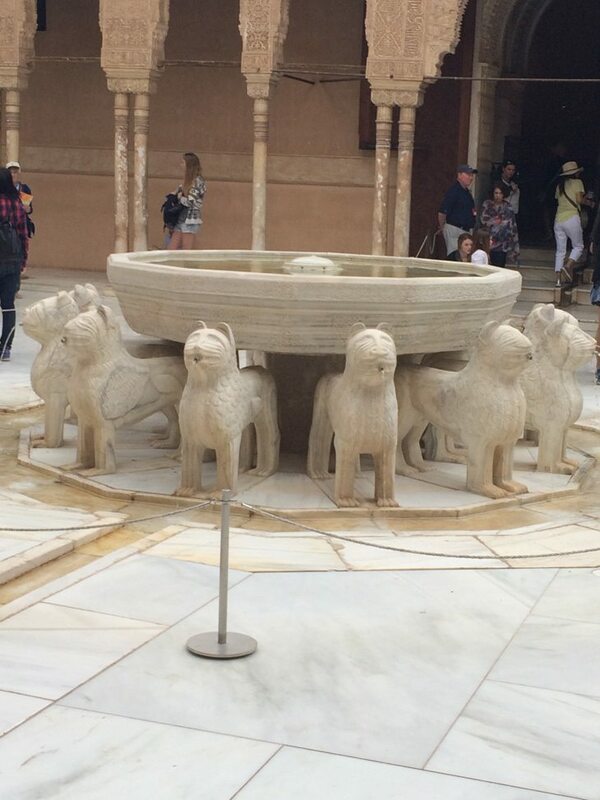 A tip, we tried to pre book our tickets online to the Alhambra and couldn’t use an Australian credit card. This tourist drawcard gets sold out quickly, and you may not be guaranteed a ticket on the day of purchase. This can be a problem if you only have a day or two in this city. We decided to book a tour through Viator, which was a great choice. Our guide Consuelo, was excellent and this helped us get the most out of our time in the majestic monument. The last Moorish stronghold in Spain, the Alhambra was completed towards the end of Muslim rule. It is the most spectacular example of architecture and gardens of the period, and still thrills today. The gardens offer a peaceful tranquility, a perfumed oasis far from the madding crowd. My personal favourite is the Court of the Lions. 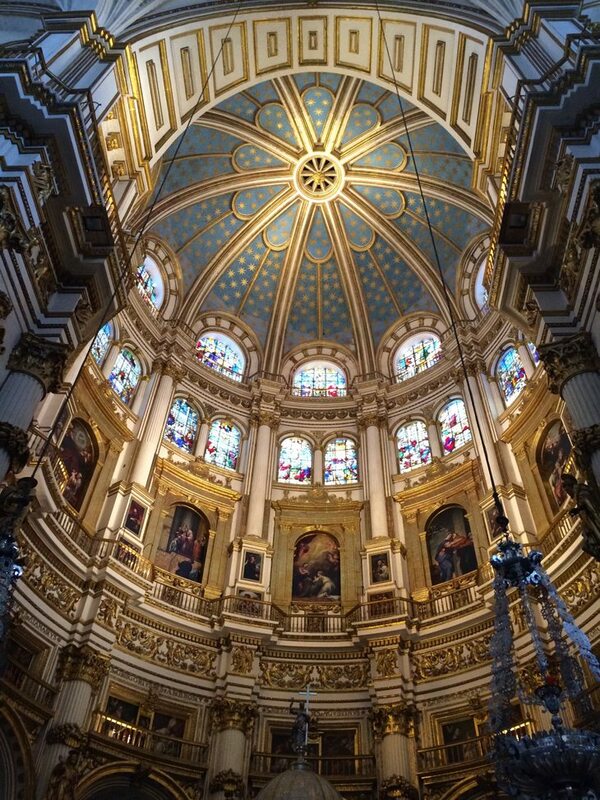 Contemplating a trip to Spain, then I urge you to place Granada on the “must see” list. 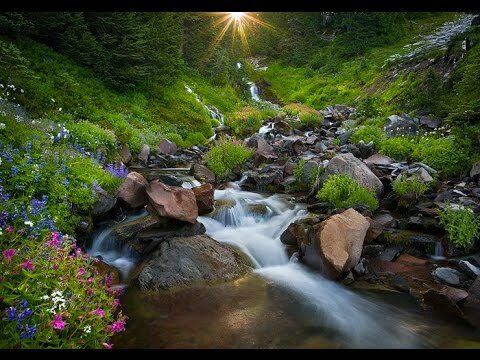 You can also view Paradise Found on The Circle’s You Tube Channel. After an amazing experience, in one of the most stunning palaces and gardens, it was time to eat (again I hear you groan)! Tonight we chose the traditional Bodegas Castaneda. After last nights sea of calm, this was a tsunami of chaos, but in the best possible way! 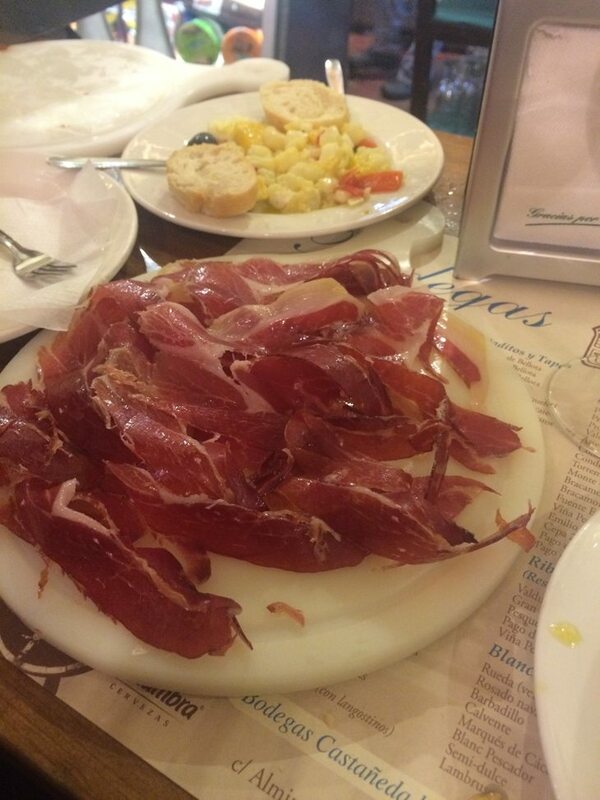 Squeezing ourselves in at the bar, we order a plate of the best jamon, Joselito, aged for several years. Then its on with the free tapas! First up a prawn salad, then its ham with melon. We decide to eat here, and order the 1/2 serving of the hot plate. Just as well we ordered the half! The food here is fantastic and so worth the visit. Just a note, there are two bodegas of the same name, they are located back to back. The official one will be packed to the rafters with punters and it’s the bomb! Granada is not to be missed. After coming from busy Barcelona, this city is an intimate glimpse of days gone by. 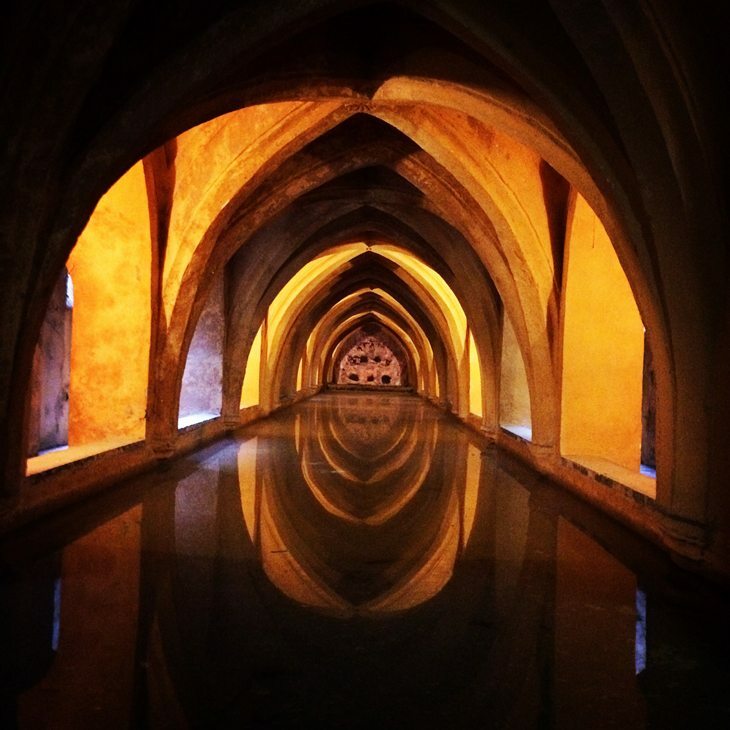 After two spectacular days in Granada, it was off to the pretty city of Seville. Back on the train for a quick three hour journey, again, clean and comfortable. With the grand Plaza de Espana, spectacular cathedral and amazing Alcazar, this city on the river Guadalquivir offers gorgeous vistas from the river banks. Dinner the first night was at Duo Tapas, a modern spin on the classics and great salads and on the second night we opted for the more traditional treats of Casa Paco both located on Plaza Alameda de Hercules. 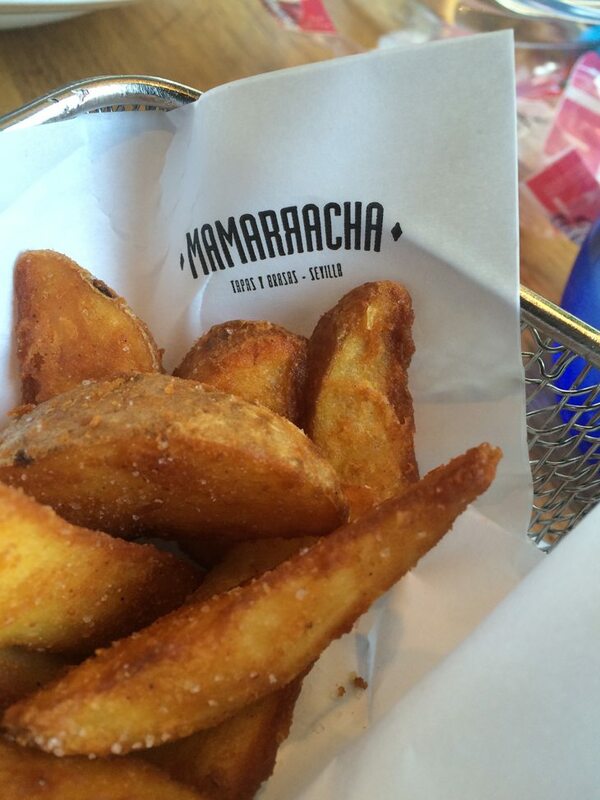 Lunch was also brilliant at Mamarracha located at Calle Hernando Colon 1-3. A stunning salad of rocket and burrata to start followed by amazing prawns for me, cod for hubby and not one but two serves of homemade chips, that were too good to stop at one! This was by far my favourite meal in Seville. 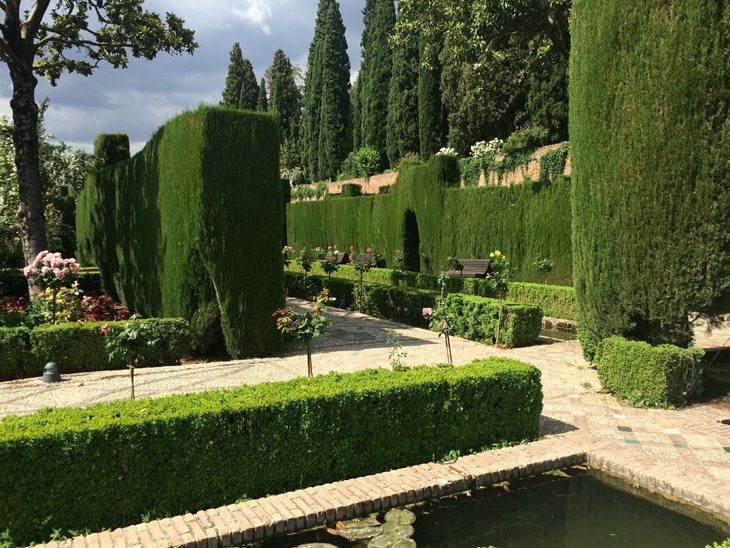 We loved the Alcazar, which similar to the Alhambra with it’s Moorish architecture and perfumed gardens. This is a must see, and probably in slightly better condition than the Alhambra. Also the cathedral is incredibly impressive with stunning views from the top tower. It’s unique in the fact that ramps lead the way up and down, not stairs. Apparently this was designed so horses could be ridden to the top. 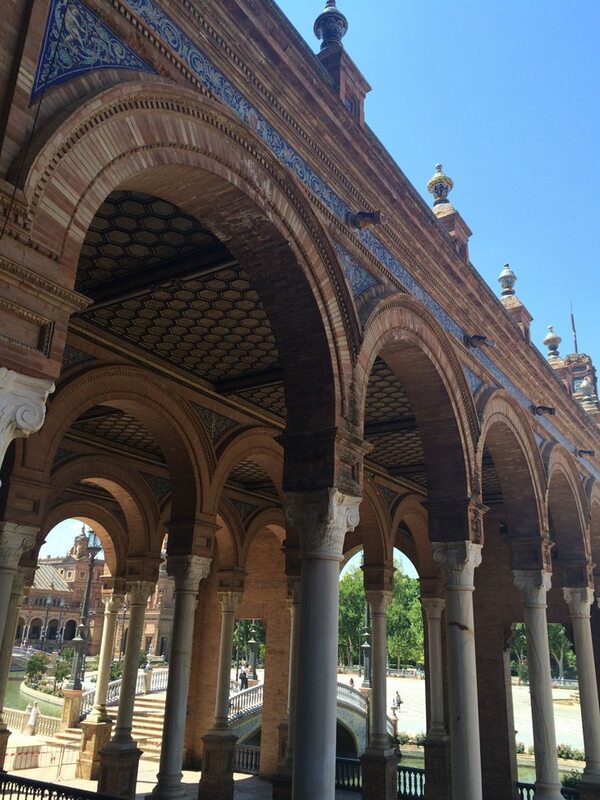 The gardens surrounding the Plaza de Espana are glorious and perfect for much needed respite from summer heat. May is an excellent time to visit southern Spain. You are certainly best to avoid July and August, where temperatures can soar. Why, just before we set off on our trip, Granada had a record 41 degree day! What we have learned is that it is tricky to arrive in certain cities on a Sunday, especially at siesta time. It’s difficult to feel a city’s vibe, which can put you on the back foot. My advice, keep and open mind and persevere. Next stop, Spain’s capital Madrid!